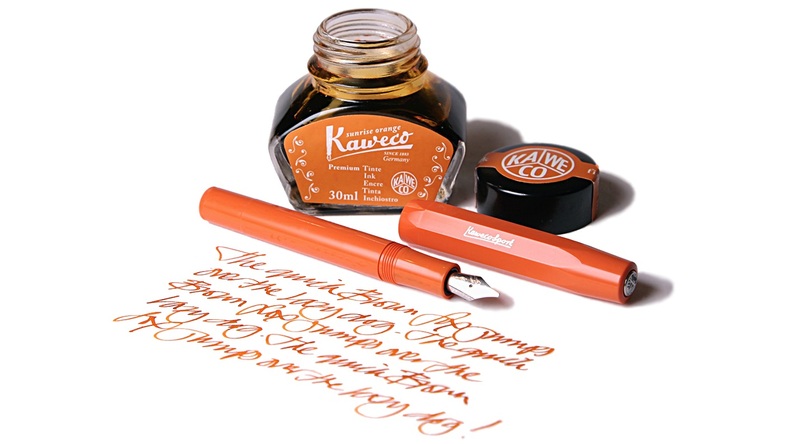 We have a quickie give away for you this month – the prize is the Kaweco Fox! 1 What’s the accent colour on the Kaweco Fox Sport that we reviewed? 2 How does the nib fit – screw in or friction fit? 3 What is the RRP for this pen? 4 How many colourways does the Kaweco Skyline Sport come in? 5 How many nib choices are there to select from? 6 In which country are Kaweco based? That wasn’t too tricky was it? Get your answers to me at unitedinkdomprizes@gmail.com by 6pm on Sunday 21 April and we’ll contact you by email to let you know that you’ve won!